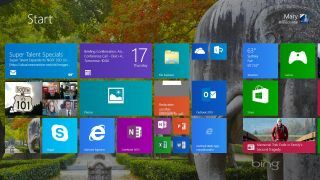 Microsoft will reportedly lessen the cost of a Windows 8.1 license for manufacturers of low-cost PCs by up to 70 per cent. A Bloomberg report claims Microsoft intends to charge just $15 (around £9, AU$16,77) for devices retailing at under $250 (£150, AU$278). Currently, it sells the same license for $50 (£30, AU$55). The report intimates Microsoft's motive is to tackle the ever-increasing threat from Google's Chromebooks and the lingering presence of Apple's Mac OS X machines. According to the unnamed sources, all devices that meet the price limit will be entitled to snap up the license at the reduced price. Microsoft has so far declined to comment on Bloomberg's story, but it is evident the company must do more to stimulate the growth of Windows 8. Earlier this week, it was announced the company had reached the 200m license sale landmark, since it arrived at the end of October 2012. Following its release, Windows 7 sold 240m licenses in 12 months, while it took Windows 8 three months longer just to reach 200m. Meanwhile, sales of Chromebooks, running Google's open source OS, are said to be soaring. In 2013 Chromebooks amassed a reported 21 per cent of the PC market, without counting the busy Christmas period.